This book explores the resurrection of Jesus Christ as the foundational event for Christian faith, for the Christian church, and for Christian ethics. It argues that the resurrection is a relational event aiming at the establishing of justice. This is illustrated by discussing the interrelationship between the resurrection and selected social ethical challenges: race, class and gender equality, the ordination of women, ecological justice, and the relationship of Christianity to other religions. The book seeks to argue that Christian faith, grounded in the resurrection of Christ, needs to be concerned with unmasking injustice and implementing justice. The first two chapters engage with contemporary liberal and evangelical theologians, contending that the resurrection of Christ is a real and relational event. Chapters three and four suggest that resurrection faith implies a commitment to justice. Jesus was killed for justice related causes and by raising Jesus from the dead, God affirmed Jesus' vision of life and at the same time defeated the estranging powers of death. 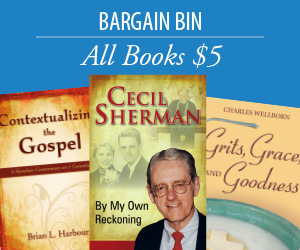 Chapters five and six illustrate the history changing nature of the resurrection by discussing its effect on history and society. Humanity's ethnic, economic and gender class divisions, the dignity of womanhood, the ecological challenge, and our relationship to other religions are discussed. Chapter seven reasons that international Christian discipleship is the most appropriate way of responding to the resurrection of the crucified Christ and as such to implement what justice requires. Thorwald Lorenzen has taught and preached in Europe, the United States, Asia, and in Australia. For over 20 years he was Professor of Systematic Theology and Ethics at the International Baptist Theological Seminary in Ruschlikon/Zurich, Switzerland. Since 1995 he has been the Senior Minister of the Canberra Baptist Church in Australia's Capital City. He is active in ecumenical, evangelical, and justice concerns. He is a lecturer in Systematic Theology at St. Mark's National Theological Center, School of Theology, Charles Sturt University, Whitley College, The Baptist College of Victoria, and at the University of Melbourne. "The resurrection of Christ is the origin of faith, the source of life, and the world-transforming horizon of hope in Christianity. This new book by Thorwald Lorenzen is inspired by the courage of the first witnesses and is the best I have read in the present-day theological discussion, bringing it on a new level, setting a new standard." "Dr. Lorenzen 'connects the dots.' Resurrection-Discipleship-Justice, and the triangle that emerges proves to be a hermeneutical plateau opening up new perspectives that can help us not only to recapture essential elements of the Christian faith but also to focus our commitment on the implementation of justice without which the church may prove to be 'irrelevant' in our times. In addition to its theological thrust, the book reflects a profound spirituality and pastoral concern. It is down-to-earth, frank, and honest. "Resurrection-Discipleship-Justice is one of the best and most intriguing introductions to the meaning and practical implications of the resurrection of the crucified Jesus currently available.While deeply informed by contemporary theological debate, conservative and liberal alike, this book is written for the general reader. In language free from jargon, obscurity and sentimentality, Thorwald Lorenzen spells out the implications of God's act in raising Jesus from the dead for the life of faith, for the mission of the Church, and for the struggle for justice, peace and sustainable life in a dangerous world. A book not to be missed!" "The resurrection of Jesus Christ has been at the center of Thorwald Lorenzen's theology, evidenced in his teaching and preaching. 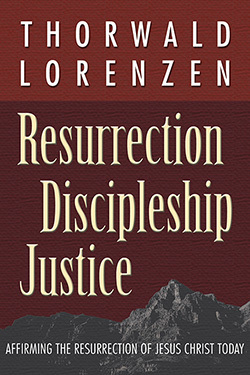 The truth of resurrection demands more evidence, however, and Lorenzen through his involvement in issues of human rights, justice, and ecology, testifies to faith in this mysterious and wondrous truth being not only something you accept but something you do."